I have used a lot of video players on Linux – and over the time my favorite video player have changed. When I wrote the post Top 5 Video Players in Linux, it was VLC. After that, the position was held by Xine for a long time. But that was before I discovered SMPlayer. 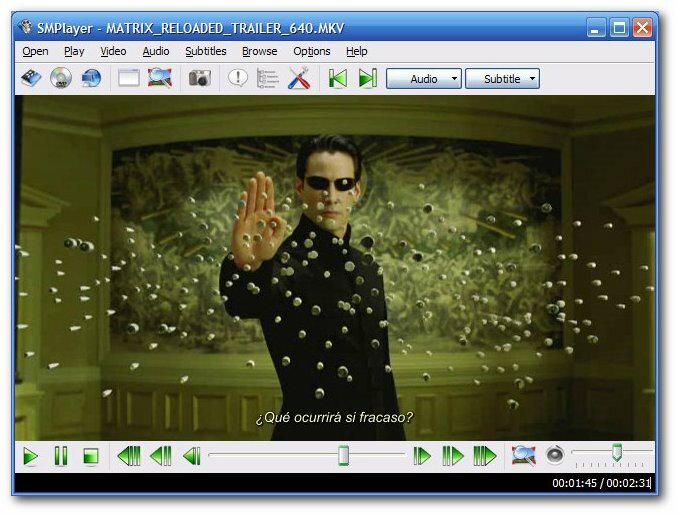 SMPlayer is a front-end for MPlayer, from basic features like playing videos, DVDs, and VCDs to more advanced features like support for MPlayer filters and more. This is one feature I absolutely must have in a video player – I want to use very specific settings. And SMPlayer is one of the few players that lets me do that. You can choose font and size, and even colors for the subtitles. Or you can drag and drop a subtitle file into the player when you are playing a video – the video will use that subtitle file from then on. Or you can automatically get the subtitle of the currently playing film from OpenSubtitles with the click of a button(you need the latest version for this). You can choose the audio track you want to listen. Works with avi and mkv. And of course with DVDs. You can use your mouse wheel to go forward or backward in the video. Allows you to adjust the brightness, contrast, hue, saturation and gamma of the video image. I have never used this feature – but it might come in handy for a bad quality video. You can play at 2X, 4X… and even in slow motion. SMPlayer speeds up the audio as well – which is kinda distracting – I wish they would mute it in fast mode. Several filters are available: deinterlace, postprocessing, denoise… and even a karaoke filter (voice removal). Allows you to sync audio and subtitles. 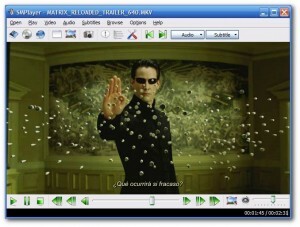 Such as selecting a demuxer or video & audio codecs, providing mplayer command line options and more. Seriously, take a look at the Preferences dialog of this app. Allows you to enqueue several files to be played one after each other. Autorepeat and shuffle supported too. Binaries available for Windows and Linux. Or you can download the app from their site and install it manually. I’ve installed in my Ubuntu 64 and in my AspireOne with Linpus, and it function perfectly. Thanks man!!! I like it! I have some issues with movie playback in totem, then I installed vlc, and when I tried to start it, vlc can not be started as root because of security reasons, but i really don’t care about any security reason while playing movie, what i am trying to say is >>> don’t use idiotic players <<>> WOW GREAT PERFORMANCE <<< its starts so f…..g fast, faster then anything, no image flickering, just …. NOTHING BUT PERFORMANCE !!! I recommend SMPlayer to everyone, Its just great !!! – When MPlayer crashes, you don’t lose your interface. SMPlayer just lets you know MPlayer crashed, and then you can press ‘Play’ to actually resume from where you left off. – It’s a nicer interface that integrates better with your desktop, and the interface isn’t as buggy/crashy as I have always experience. Next to this stability, you don’t lose speed, and you don’t lose features. SMPlayer is the perfect layer on top of MPlayer. epi: why the hell are you running a media player as root? You should never have to do this, not even for performance improvement (there is pretty much none and you could just root your way to improving its priority while not actually running the app as root)!